Having to work late occasionally is acceptable. Yet, there is growing evidence that having to work much longer hours is becoming the norm. 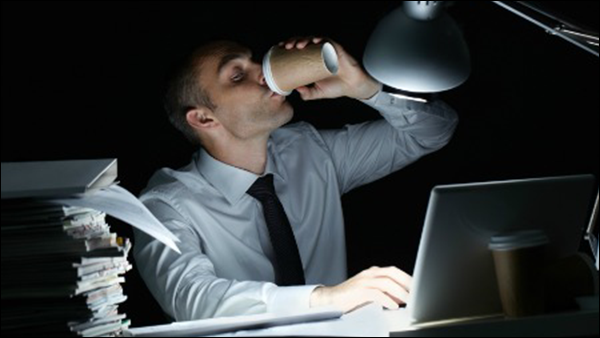 Staying late, according to researchers Maxis Global Business Network, means working a huge 20 additional hours each month – all unpaid too. What’s driving this? Put simply, it’s the need to be ‘seen’ at our desks, with an implicit fear of not been seen to leave too early. It’s a worrying trend seen in many countries – UK, Europe, and in America – where those that who refuse to work longer hours are ‘marginalised’, causing them undue anxiety and stress. Yet it’s a counter-intuitive trend too. As the research reveals, it hinders productivity instead of raising it. What workers end up doing is spreading out their workload ‘to fill the extra time they are expected to be seen at their desk’. The end result? It creates an unfortunate culture of dissatisfied workers, who in turn blame their anti-social conditions, choosing to leave to work for someone else. Partly the answer must lie in challenging assumptions that to be more productive just means working longer – extending the length of the working day. Rather, as any worker knows, what matters more so in using your time efficiently. The adage of ‘doing more with less’ remains true. What boss or manager could disagree with that! Which brings us to an often neglected yet important focus every business should invest in to help solve this problem: the company intranet or digital workplace. Using one intelligently can significantly help productivity, instead of just making staff stay late. Key to this – as counter-intuitive as it sounds – is in letting your employees have more autonomy and flexibility over what they do. But that also carries with it the ability to trust them too. Whether they’re situated across the room from each other or in separate countries, using a company-wide digital workplace can significantly help how staff share ideas, collaborate, manage projects or just be kept abreast of the latest company news. Specifically, a well-designed platform can help raise productivity for example, by recognising each time your staff log on, serving them up relevant content, tools and documents needed to do their work. If they no longer must go and search for things that they need each day, they will save plenty of time, used for other things. Furthermore, because it’s designed to recognise where each and every employee is located, including in what part of a company they work for, it can provide them with tailored content – including in their native language – all helping driving better engagement. The upshot of all this? A better, more conducive company culture. If everyone is more able to openly share ideas, communicate with one another, it will significantly help alleviate concerns around trust too. Accessibility: This can be a major problem for employees whether they’re on the move or in the office. Remembering passwords and ongoing issues due to security can make life harder than it needs to be. An intranet should first and foremost always be available especially on mobile devices. That means using a single sign-on to access all of your content, tools, and apps seamlessly is a must have feature of a digital workplace. Relevance: Having to find the same thing, for example a frequently used programme or app, over again or constantly seeing the same content, can become a wasteful use of time. Your digital workplace can help by presenting targeted and relevant content and tools personalised to you. For example, your system should only provide the ten most used, or relevant apps to your business area. Social: Not being able to talk to colleagues online feels unnatural in a world that posts, likes and ‘shares’ billions of times every day. Your digital workplace needs to embed social tools, conversation, likes and comments in everything you’re working on. Being able to capture those conversations can be pivotal to sharing great ideas, knowledge or feedback. Values: Using your intranet to embed and cultivate your company’s values is a vital (and continual) process, which requires careful attention. The digital workplace should become a platform to share news or announcements and give colleagues a spotlight; the importance of this role is often underestimated. Culture: Your digital workplace should reflect the culture of your organisation. It should be able to respond quickly to things that challenge, divert or threaten that culture and it should be sensitive to those who work within in. It should also champion, support and cheer on everyone working within it and reflect its success. Making use of each and every one of these capabilities will give your employees more control over what they do and help value their contribution to the success of the organisation they work within, increasing engagement and productivity. Interested in transforming company culture for improved wellbeing and productivity? We recommend Optimising Performance Management through Organisation Design training day. Joanne Skilton rose up the ranks over a 25 year career in the retail property sector, most notably as Head of Commercial at Battersea Power Station Dev. Co. As Chief Commercial Officer at Unily, Joanne oversees the brand’s continued expansion and works to develop understanding around what digital workplaces can deliver for companies from retail to manufacturing, legal and finance to food, beverage & leisure.